Don't expect organization to happen overnight. Depending on the area to be organized, schedule a couple of hours each day to work on getting the area organized. Getting a garage whipped into shape will take more time than it takes to organize a linen closet. Locate your closest storage facility, and protect your valuable items that don’t fit at home. Once you've selected an area, go through the contents. Donate or hold a garage sale for anything you don't or can't wear or use any more. After you've removed extraneous items, take a look at what remains. Does it belong here? Does it make sense to keep it here? Is there another place where you've got more room to keep it, or another area where it would be more easily accessible for its purpose? For example, take that professional-grade mixer that you've been keeping in the back of your closet and move it to the kitchen. When it's time to tackle that area of the home, you can incorporate the mixer into the new storage plan for the kitchen. If you're in need of more storage space, think creatively about additional areas that you can put to work. Prime examples include over doors and underneath beds. These areas are valuable real estate in your home and are often overlooked. If you don't have a lot of room to work with, a surefire way to instantly create more space is to go "up." Instead of only having a couple of shelves to house your kitchen items, take them up to the ceiling to really maximize the vertical space — you'll store the things you need less frequently on the higher shelves. 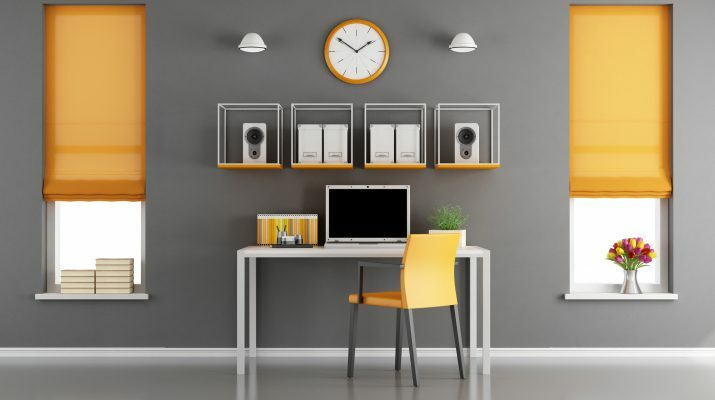 Whether you're working to organize the family room or striving to get your home office under control, use color to enhance your efforts. Assign each child a different colored container to keep his or her belongings in and keep them responsible for cleaning up after themselves. Organize projects, bills and other important papers by function and color in your home office. Make sure that the items you need most often are the easiest to access. Likewise, place the items you don't need to get to as often on a higher shelf or in another area. Select a storage system that can adapt to your changing needs. That way, you can reconfigure and reuse solutions to solve a variety of storage and organization problems.